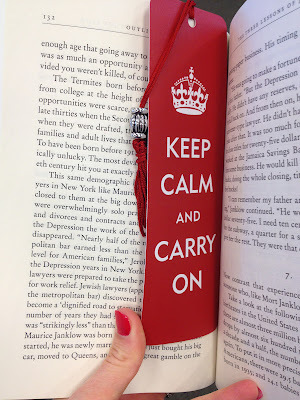 I noticed a lady reading a book with one of my favorite mottos written on her bookmark. 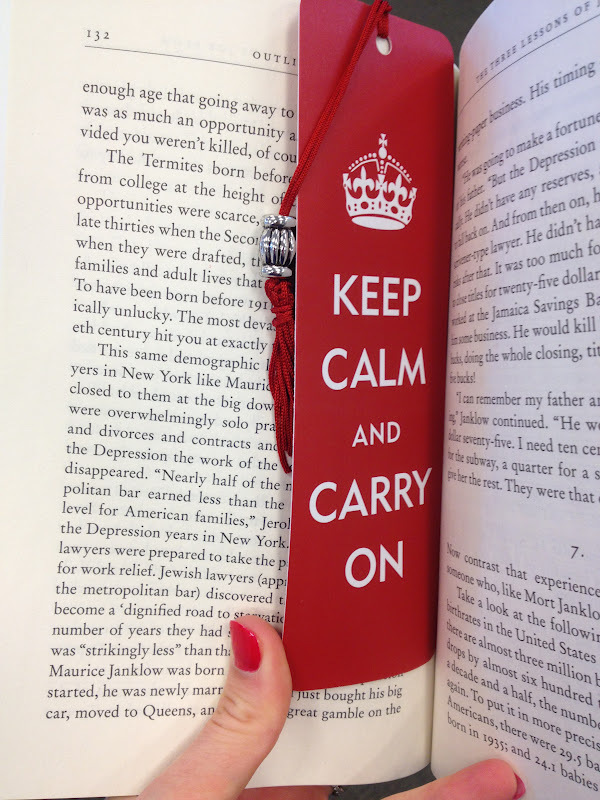 "Keep Calm and Carry On" came to birth during World War II and was plastered on posters all over the U.K. It was intended to serve as direction to the people should there be an attack or bombing of the city during that time. I do find it quite interesting that when this saying is used today, it brings peace to one's self, when actually it's initial intention came about during a time of war, but hey, life can sometimes be ironic that way.